Baccaro et al. 2013. Changes in Ground-dwelling Ant Functional Diversity are Correlated with Water-Table Level in an Amazonian Terra Firme Forest. Biotropica. Areas with shallow water tables comprise a significant portion of tropical forests and have distinct forest structure and plant-assemblage composition. It is not clear, however, how the water table regime shapes the distributions of other organisms. Here, we evaluated the influence of water-table level on ant-assemblage richness, abundance, and composition in a terra firme forest, in Central Amazonia. We sampled ants in ten 250 m-long transects, regularly distributed over 5 km2 by extracting ants from 100 1-m2 litter samples, 100 pitfall traps, and 100 sardine baits. During 1 year, the water-table level in each transect was monitored every 15 d with a 6-m deep dipwell. Overall the abundance of individuals and occurrence of species were lower in areas where the water table was closer to the surface (< 1 m depth) for longer periods (~ 5.5 mo). The number of ant species, however, was higher in transects where the water table was close to the surface more frequently. Changes in number of species were mainly a result of an increase in generalist species associated with a decrease in the number of specialist predators and small hypogeic generalist foragers. Although disturbance by the water table may increase local alpha diversity, only one third of generalist species seems to prefer areas with shallow water table. 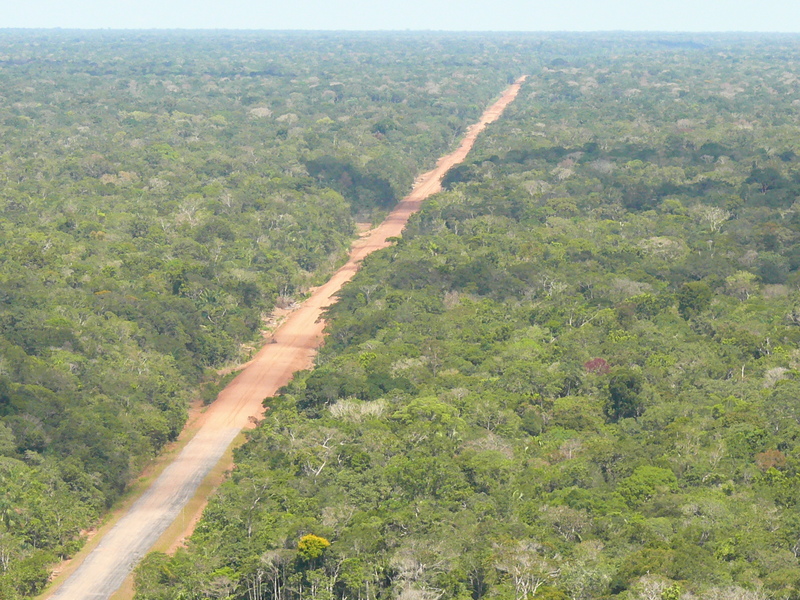 Much of the fieldwork was done in along the Amazon’s BR-319 highway, which connects Manaus to Porto Velho in the Southern Amazon and traverses the Purus-Madeira watershed. Although the highway was constructed in the 1970’s, it can still only be traversed with 4×4 vehicles.. The BR-319 Highway from above (photo by Fernando Figuereido). 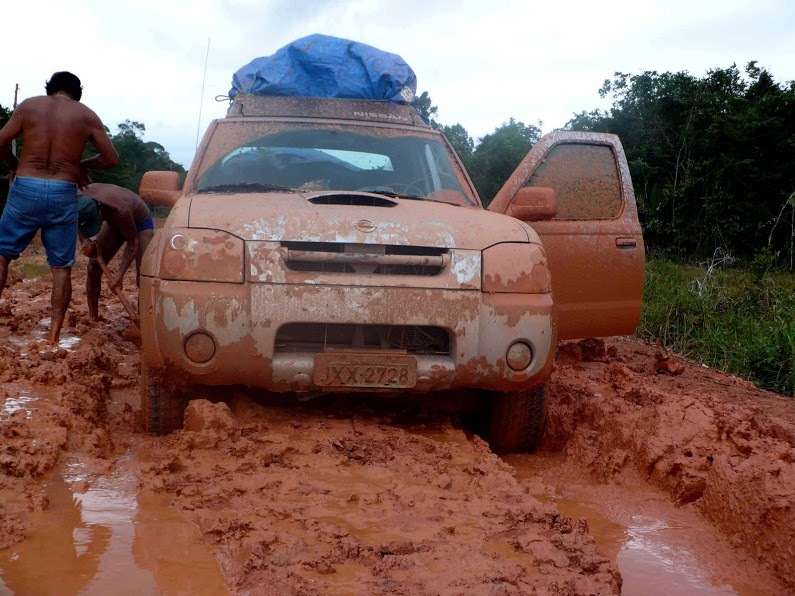 It wasn’t easy getting to the field sites….although the federal government has plans to improve the road. Traversing the BR-319 Highgway (photo by Fabricio Baccaro). Photos from the Field: Does Fire Trigger Seed Germination in the Neotropical Savannas?